INSIDEflows is a platform for interior architecture based on knowledge of flows. New to INSIDEflows ? Join today! The development was designed by architects Professor Brenda Vale and Dr Robert Vale. Itconsists of a terrace of five single story dwellings which are earth-shelteredat the rear (North), so that the ground surface slopes and blends smoothly intothe field at the back. The houses have passive solar heating(a combination of high thermal mass and the south-facingconservatory) removing the need for a space heating system and the greatestfactor in lowering energy use. 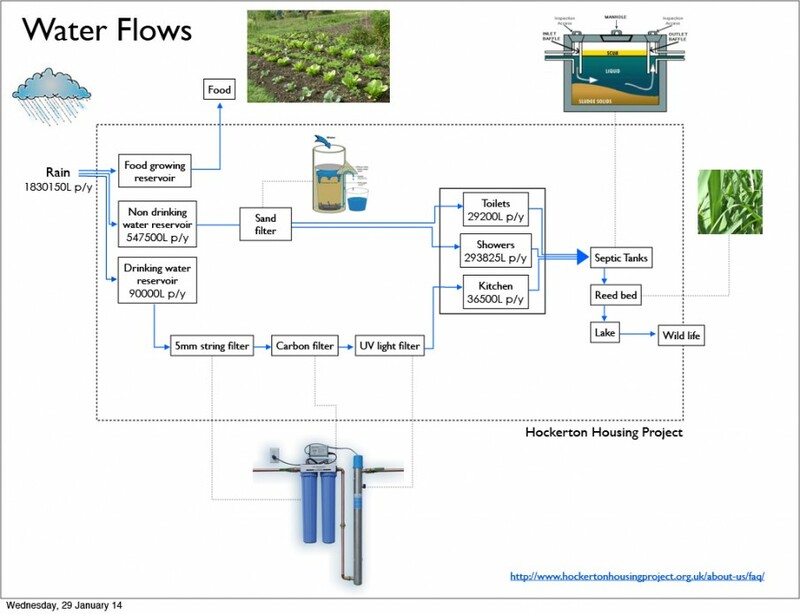 The surrounding 40,000 square metre site allows for crop cultivation,the rearing of sheep and chickens, and self-sufficiency in water and energy. In 1993 the members of the Hockerton Housing Project came together to create a proposal for five earth-sheltered houses to be built on a 101171m2 site outside the village of Hockerton near Nottingham (UK). The houses were to be the centre of a sustainable development using minimal energy and with little environmental impact. In August 1996 the Project obtained special permission to build a sustainable housing development on agricultural land. 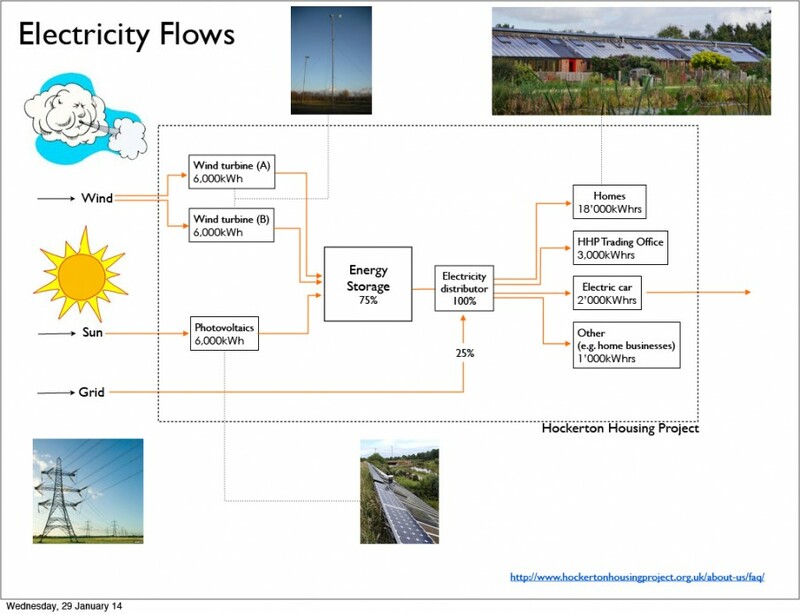 Energy and water reductions have resulted in savings of over £1’000 per year per household and the number is his is likely to grow significantly as energy prices increase.Developers, housing associations, and district councils, architects and planners have recognized the Project as a possible model for sustainable living. The massive interest that it has attracted indicates that there is a desire to seek new ways of living that reduces their impact on the environment. It’s a project that could easily be replicated with its communal philosophy although the house design could be quite different and still have the ultra low energy features. The development situated on farmland with farm animals and consists of 5 earth-sheltered houses with photovoltaic panels, a lake (120m x 30m x 2.4 deep), several ponds and a resource centre . Also over 4,000 trees have been planted around the site.